Something to look forward to: Notches are old news while Samsung and Huawei are both aiming to launch phones with cutouts in the display for a camera. There is no need to worry about seeing anything like the design of the Pixel 3 XL ever again. Apple may still be Samsung's biggest rival, but Huawei is working to match Samsung's every move with equivalent hardware of its own. One of the latest technologies that we may see before 2019 is Samsung's Infinity-O display that features only a small hole for the front-facing camera. Samsung is apparently going to release the Galaxy A8S in December, but Huawei might try and beat Samsung to the punch with a phone of its own. Although leaker Ice universe states that Huawei might be first to release a phone with hole-on-screen technology, it may not make it to very many markets. 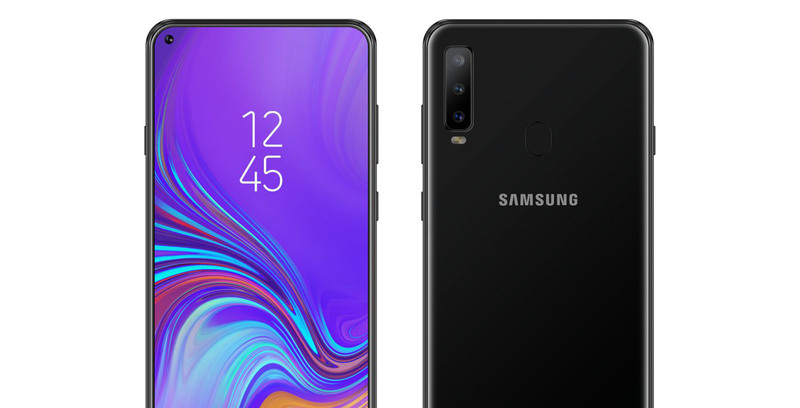 Samsung's Galaxy A8S should be widely available at launch. Even though hole-on-screen devices will finally get rid of the notch, we will not be seeing the full potential of the technology until the Galaxy S10 is released. The S10 will be the first device with an AMOLED display featuring an HIAA structure, something only Samsung can produce. LG has not yet shown any response yet to Samsung's latest innovations. Huawei has confirmed that it will be releasing further information about its upcoming device on December 3. Samsung has not yet confirmed any plans for the A8S, but might be waiting for Huawei's move in hopes to launch a few days earlier. Eliminating the notch is a step in the right direction for phone designs. Objectively, consumers never really asked for a notch. Few people even knew about notches until the iPhone X. It was always a compromise made to squeeze even more screen onto the front of a phone. The only question left to ask is where all of the sensors packed into the tops of existing phones will go. Dual front-facing cameras may not be as desirable, nor will numerous light sensors, LEDs, and facial recognition hardware if they all take up genuinely usable screen real estate.